There are few safe investments you can make but one of the best is property. Putting your some of your money into bricks and mortar is a good way to make it work harder for you and will give you a great investment in return. If you are a smart buyer, finding the right properties will give you a good financial edge and should help you quickly build up a sizeable nest egg. Buying to let is a good way of safeguarding a property and making money while your investment remains. However, if you are looking to make a quick buck, buying and doing up a property is a good route to go too. There is a lot of money to be made in the development of old properties and if you are willing to move about a bit, you could quickly make enough to stay in one house while you do up another. There is a wide range of houses that fall under the term from a fresh coat of paint to full building works so think about what you are willing to take on before you start. If you have never fixed up a property before, you should definitely request the advice of planning consultants before you implement any radical changes. You will need to gain planning permission for structural works like reconfigurations or extensions and a planning consultant will be able to advise you on the best plan so that you don’t waste any time going through rejections and appeals. When you are looking for a property to rent out, you need to be sure that you will get a renter soon in order to cover your costs. If you can, use savings only to invest in the property, leaving you with enough cash for a rainy day. Otherwise, you need to make sure that your renter will be able to pay enough to cover any buy-to-let mortgage you take out. You also need to consider who you want your rental to appeal to and decorate accordingly. If you are looking for student lets, make sure that you provide enough neutral furniture so that they can move straight in at the start of term. For other renters, you might be better off showing an unfurnished house as they are more likely to move in for a longer period and want their own things. With the likes of AirBnB arriving, now is a really good time to offer up a property for short term holiday lets. 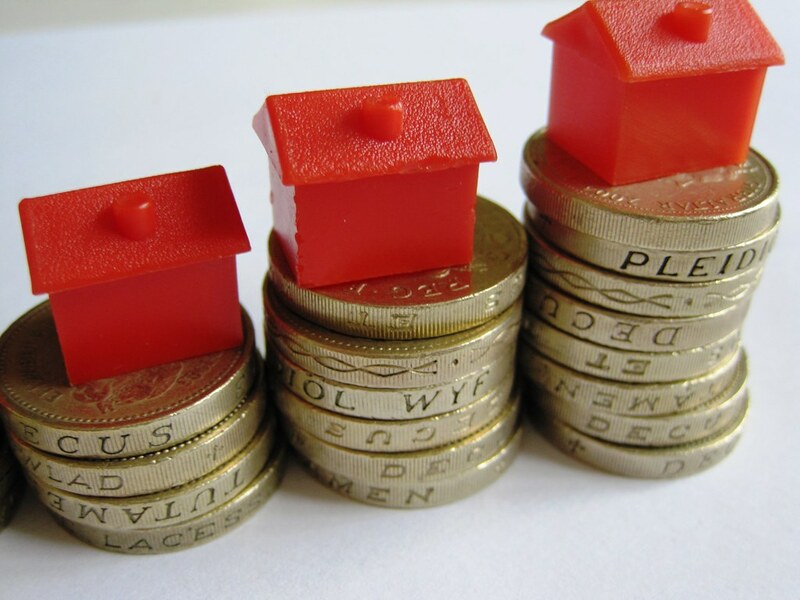 You might not have the security of long term tenants but you will be able to make a considerable amount of profit. The rules for interior design are also slightly different. You might consider going for a themed house or apartment to make it stand out from the masses or you could use smart design to give a luxury appearance and charge accordingly. Whatever you choose, investing in property is good idea for your financial future. It will give you a real investment you can fall back on as will as work your money hard to build up a decent nest egg. There will come a time when you will sit your children down and tell them how the world works. You care deeply about them, so you’ll teach them how to take care of themselves financially. You may have gone through points in your life when you have had to be frugal and times when you have invested. To set them up with the best knowledge, advice and respect for money, you will need a little help. Teach them, don’t lecture them. Start them off young. You may find lecturing your children how to be responsible with money and taking care how they use it, might be a fruitless exercise. But there are dedicated routes you can put them on, where information in fun bite-sized portions can instil in them the values you want. Millennials by the age of 15 are beginning to understand how the economy works. Instead of sitting them down for a long talk about ‘pennies make the dollars’, give them something they can digest in their own time. Books on avoiding debt and having self-restraint can be a gift on a holiday or for their birthday. Don’t force it down their throats, they are, after all, going through a rebellion period at this age. Don’t patronise your children, the youngsters today aren’t what they used to be. Technology is at their fingertips, and most kids understand it; more than you might think. Take them with you to the bank, and set up a bank account in their name. Bring them through the process and let them ask you and the branch’s financial advisor questions. Another excellent strategy to get children interested in learning about finance is to go their school and request a fun segment with books, theatre and art on money, be incorporated into their everyday learning. For the keen, sharp-eyed investors, a property is there to be bought and sold. For the young entrepreneur, the property can be their very first business venture. Buying houses or apartments to renovate then sell, is a fantastic way for teenagers to become their own boss. As a parent or young entrepreneur, working with people you can trust such as family is crucial in taking the first step in the world of risk and reward. Buying an old house with your pooled resources and renovating the property into a modern family or professionals’ home, is a great route. When buying the materials you intend to use, look for deals, buy in bulk and plan out your budget and purchasing schedule. You will most likely be doing the renovating yourselves, so take the time to research the methods of professional builders to avoid time-consuming mistakes. When done correctly, your prudential real estate will be a hot potato, ready to be scooped up by many professionals. Property development can be a lucrative business. It not only stirs one’s creative juices but also requires the developer to do the research that will make their property incredibly attractive to the market. When it finally comes to selling your investment, auctioning your property to the highest bidder, rather than a fixed price set by a surveyor could give you more than you expected. You’re on shaky ground at this point, because different estate agents will quote you different prices. Go online and find a company with a track record that surpasses the competition, and will fight for you and sell your hard work for the absolute maximum.